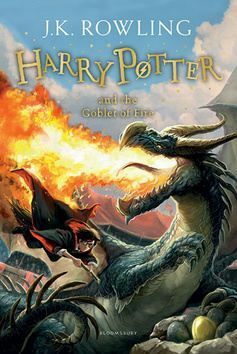 Harry Potter and the Goblet of Fire 4 - Joanne K. Rowlingová The Triwizard Tournament is to be held at Hogwarts. Only wizards who are over seventeen are allowed to enter – but that doesn't stop Harry dreaming that he will win the competition. Then at Hallowe'en, when the Goblet of Fire makes its selection, Harry is ...a dál? Harry Potter and the Go..